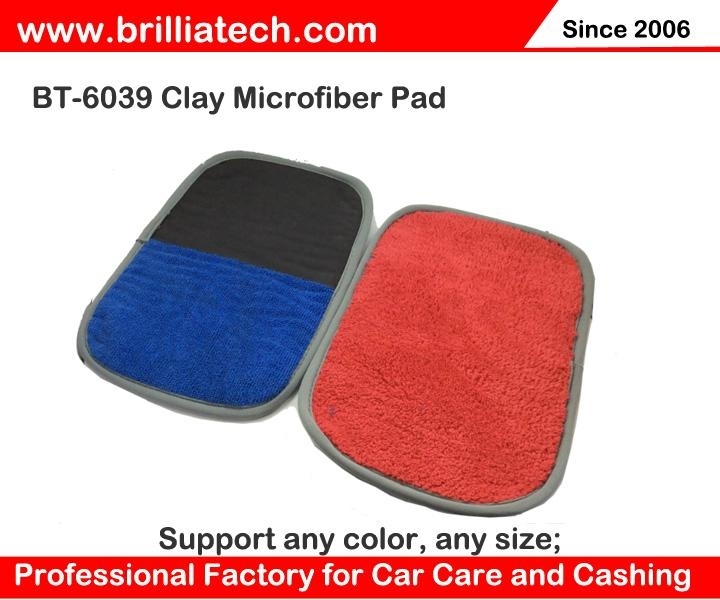 this magic clay mitt is high quality clay on the mitt; same double side with clay if you like. Normally, car's paint surface is easily adhered by contaminants by air pollution and industrial and environmental issues. In this way, it causes different kind of particles like tars, painting, industrial rust, worms, bird drops...., adhered to car surface and causes oxidation and scratches. This magic clay cloth uses advanced High-tech Polymer Technology to remove contamination from various surfaces without using any chemicals with Unbelievable Results!